(TibetanReview.net, Feb19’16) – With religious gatherings at monasteries for the purpose being banned and religious leaders being detained for its alleged violation, Tibetans in at least two areas of Sichuan and Qinghai provinces have being praying for the good health of their spiritual leader in exile, the Dalai Lama, in the privacy of their homes, reported Radio Free Asia (Washington) Feb 17. The development followed news that India-based Dalai Lama, who fled his Chinese occupied homeland in 1959, was receiving treatment for a prostate condition at the Mayo Clinic in Rochester, in the US state of Minnesota. The hospital has said the condition was common for an 80-year-old person and that the Tibetan spiritual leader was expected to make a full recovery. 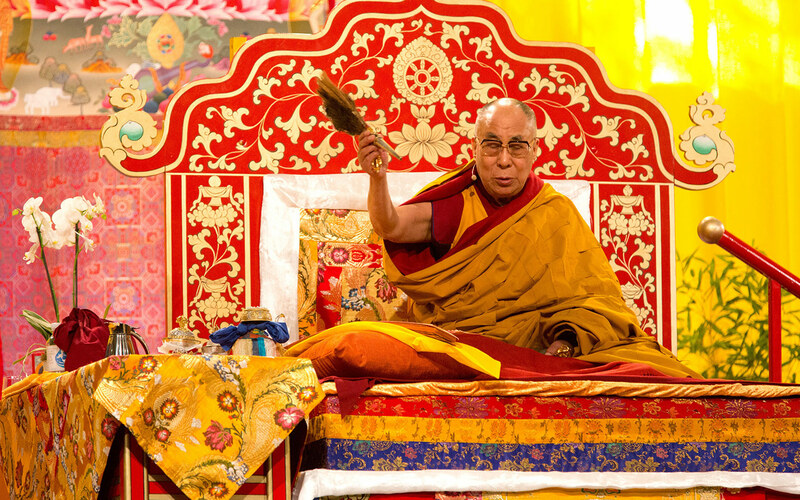 Since the Dalai Lama travelled to Mayo, Tibetans in Ngaba (Chinese: Aba) prefecture-town in Sichuan province and in Mangra (Guinan) County of Tsolho (Hainan) Prefecture, Qinghai province, had been praying in secret for the good health of the Dalai Lama, the report said. Prayer recitations were also being reportedly exchanged over the Chinese mobile text and voice messaging communication service WeChat. Local Tibetans were reported to have learnt about the Dalai Lama’s travel abroad for medical treatment despite the fact that the authorities had cut off the Internet service in Ngaba for some time. In Mangra County of Qinghai Province too, Tibetans were reported to have taken to hold their prayer services at home after tight Chinese restrictions prevented them from gathering at monasteries to offer mass prayer services. Chinese officials have been paying frequent visits to Tibetan monasteries and keeping watch over Tibetan activities, making it very difficult for monks and others in monasteries and villages to hold prayer services for the Dalai Lama, the report cited a Tibetan from Mangra now living in exile as saying. “They wanted to conduct mass prayers, but with an increase in the intensity of the political reeducation campaign, it has been very difficult for Tibetans to congregate,” the source was quoted as saying. Earlier in the month, two senior Tibetan monks of Chokri Monastery in Draggo (Luhuo) County of Kardze (Ganzi) Prefecture, Sichuan Province, were taken away on suspicion of having held mass prayers for the good health of the Dalai Lama on Jan 25. And on Jan 31, Draggo authorities issued an order requiring shopkeepers to turn over their stocks of photos of the Dalai Lama by Feb 2, following which “severe punishment” was to follow for violators. The order banned the stocking, sale, or display of Dalai Lama pictures. Have the Chinese authorities not learnt by now that faith is of the HEART and the Tibetan people love His Holiness and their love for Him and for Buddha Dharma is indelibly etched into their individual and collective hearts and WILL NOT be eradicated by any of their draconian policies and repressive practices. The whole world of Buddhists is praying for His Holiness to have a full and speedy recovery so why are they surprised and afraid of His own people praying for him.